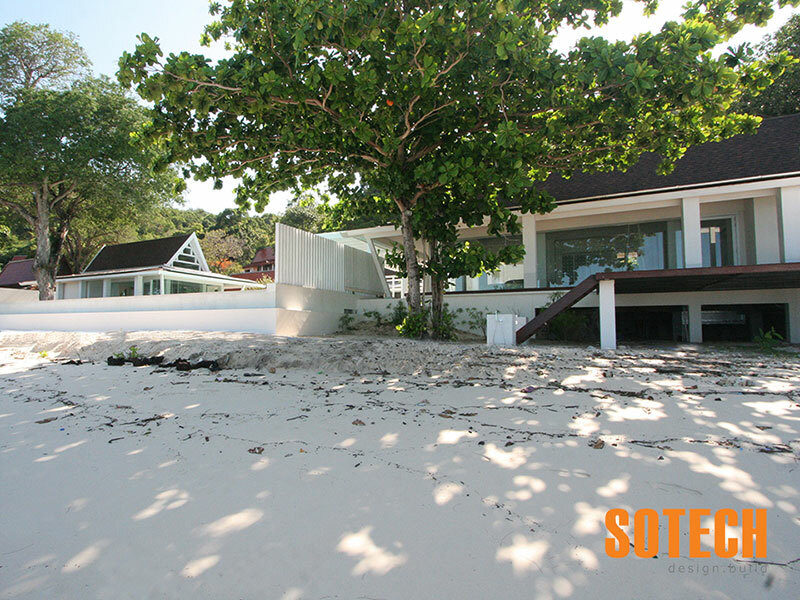 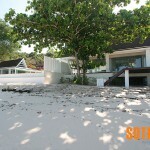 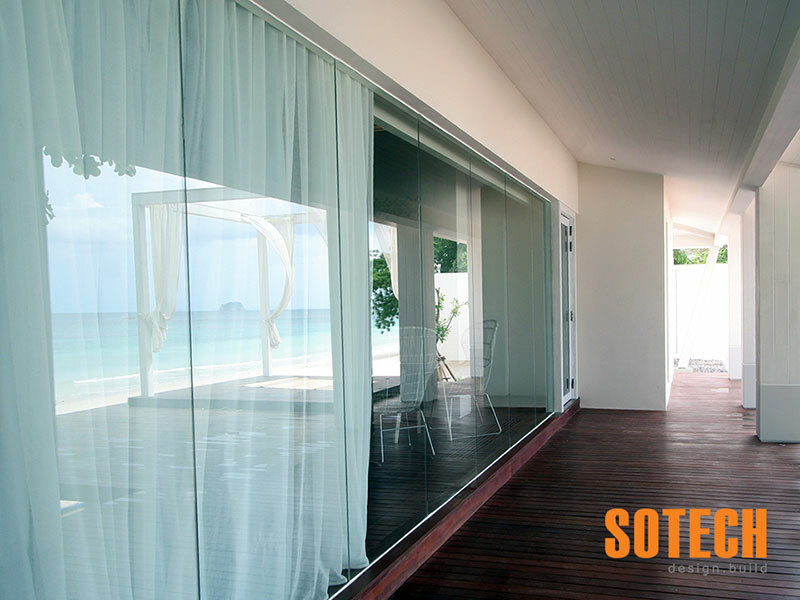 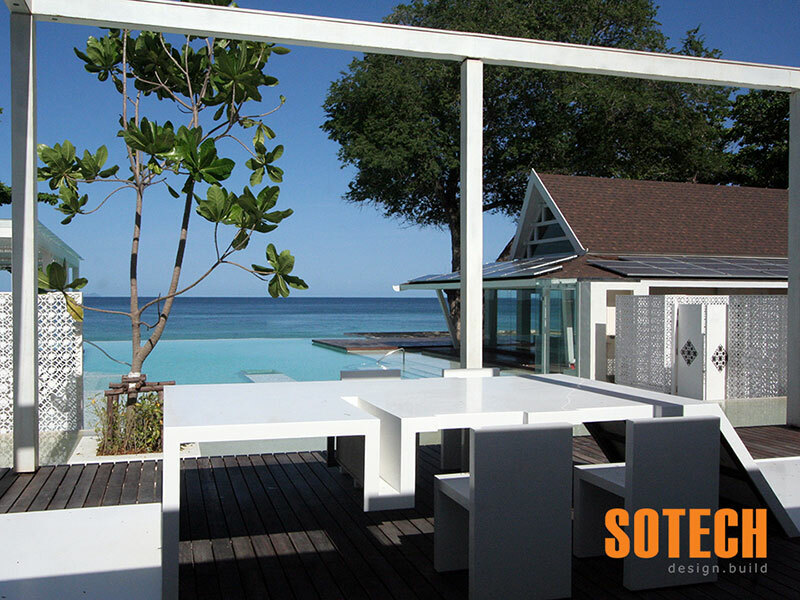 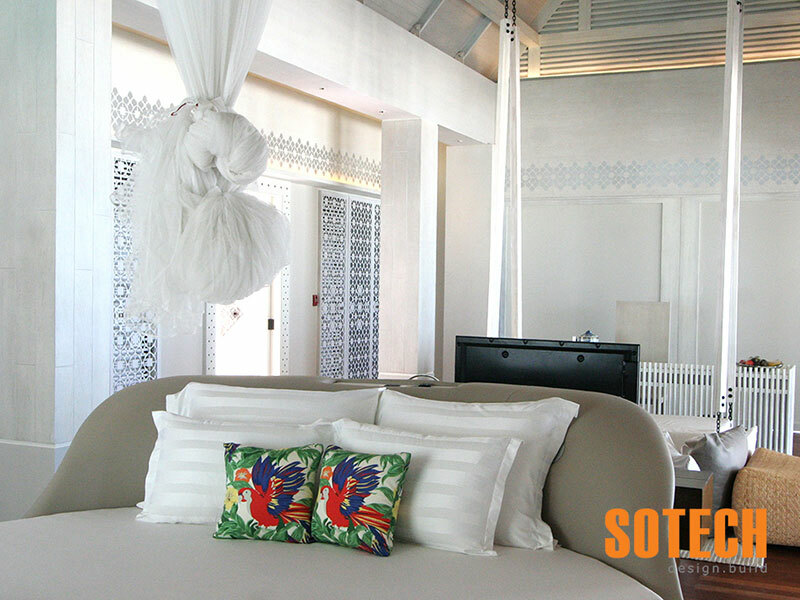 This luxury beach front resort villa is located on a private island off the east coast of Phuket. 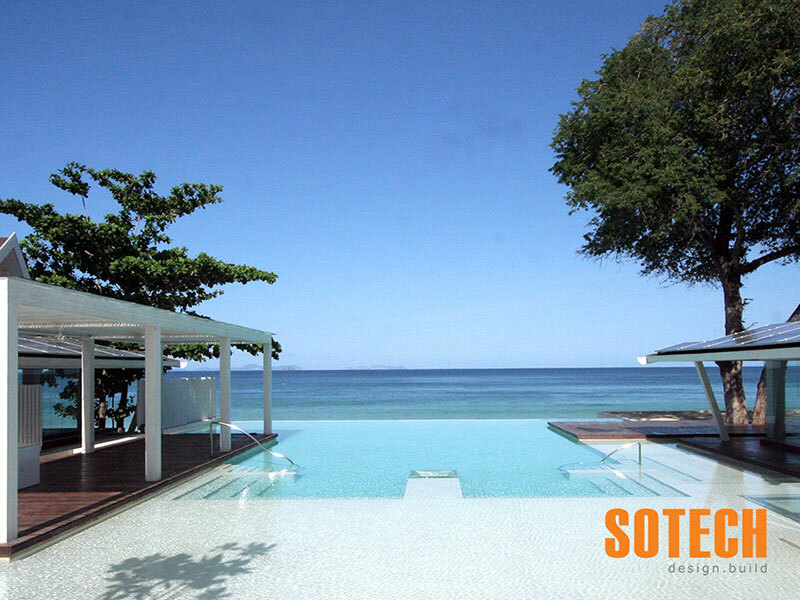 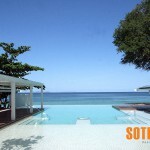 The huge main pool is the centerpiece of the property and it’s surrounded by the main villa and two guest villas. 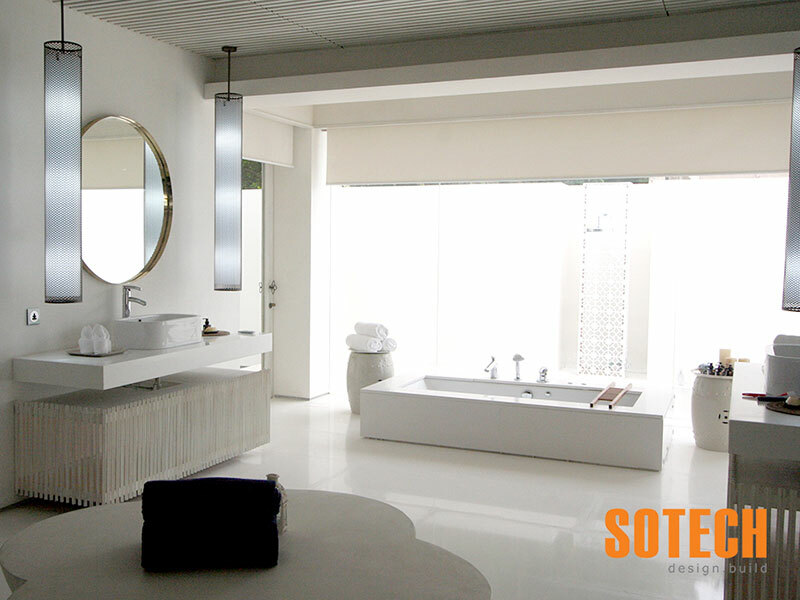 Mostly all architectural materials were imported from Europe to complete this high end 2,000 square meters property. 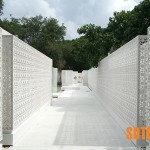 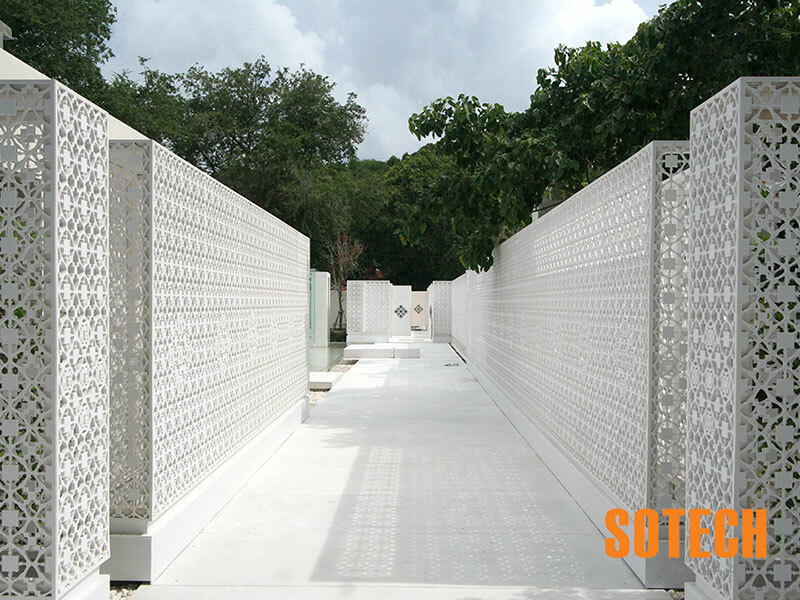 The beautiful outdoor garden partition walls are made from Plaswood and cut out by CNC machine. 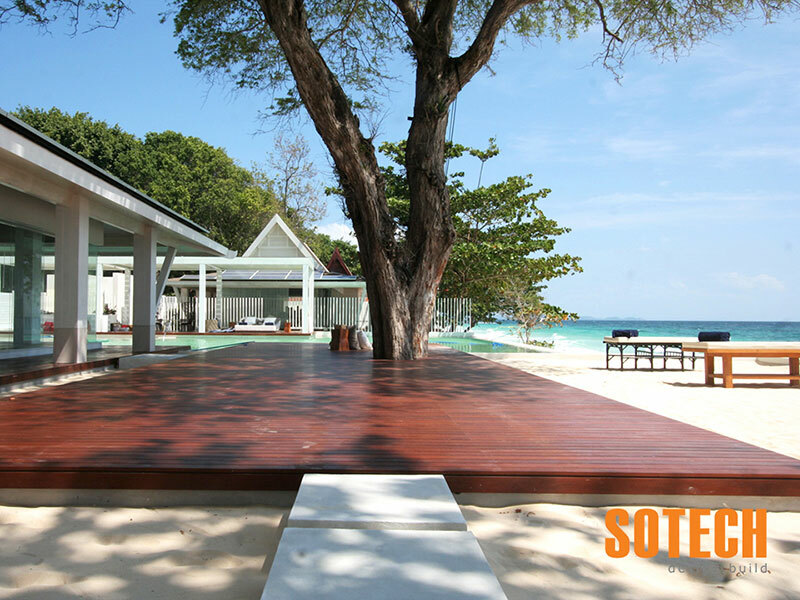 The island has its own helipad so the guests can arrive in style!